Choosing the right SEO agency to help your real estate agency is not a decision you can make lightly. Digital technology has become an integral part of our lives – so much so, in fact, that 9 out of 10 home buyers engage in online searches during the purchase process, according to Google and NAR’s 2014 Digital House Hunt Report. Establishing a robust search presence is now an absolute necessity for all real estate agencies, and hiring a skilled SEO company is the best way to achieve that goal. Once your agency decides to take this step, you face a difficult chore: you need to somehow sort through the available choices to find the right real estate SEO company to move your agency forward. There’s no magic formula that will lead you to the perfect SEO company, but with some preparation and patience, the following three steps will help you to choose the right real estate SEO company to meet your agency’s needs. Before you can determine if an SEO company is the right match for your real estate agency, you first need to decide exactly which services you need. Does your real estate firm need reputation management services? Are you just starting to establish an online presence for your agency or does your website need help to recover from a search engine penalty caused by poorly managed SEO tactics in the past? When you come up with a clear, concise statement of the services you need and set specific SEO goals (such as building your contact list by 30% within six months) before you start talking to SEO companies, you have a much better chance of finding one that will completely meet your needs. Doing your homework before you start contacting SEO firms can save you a lot of time. Since you’re looking for a firm to help you with search engine optimization, it makes sense to begin with an online search. As you browse through the websites of SEO agencies, keep in mind that as a real estate agency, you face certain search difficulties that most other businesses don’t have to worry about. Zillow, Trulia, Realtor.com, and other large real estate directory sites and national companies have already co-opted the top spots in most real estate-related searches, which makes it hard for real estate agencies to raise their online profile. To gain visibility for your website in this highly competitive market, any SEO company you hire will need to have a deep understanding of the challenges that real estate agencies face. They will need to be skilled in local and hyper-local search engine optimization techniques, and they should have a proven record for helping real estate agencies to achieve their search marketing goals. Look through each SEO company’s website and read their blogs, looking for a strong understanding of and commitment to meeting the needs of real estate agencies. Does the firm focus on providing SEO services for real estate, or are they more of a one-size-fits-all marketing company? Check the company’s portfolio to see how many real estate agencies they service compared to other industries, then check the search presence of the websites in their portfolio to see how well those sites are ranking for local real estate terms. Search for reviews on other sites, to find out what clients who have experience of dealing with each SEO company have to say. Just remember to take reviews with a grain of salt: don’t let one bad review stop you from dealing with a company whose profile you otherwise like, but keep an eye out for a pattern of disappointing performance. Ask each SEO company what changes they would make to your website and marketing strategy to improve your real estate agency’s search profile. Firms should be able to outline a detailed plan of improvements – otherwise why would you hire them? Interview several SEO agencies so you can compare their approaches. 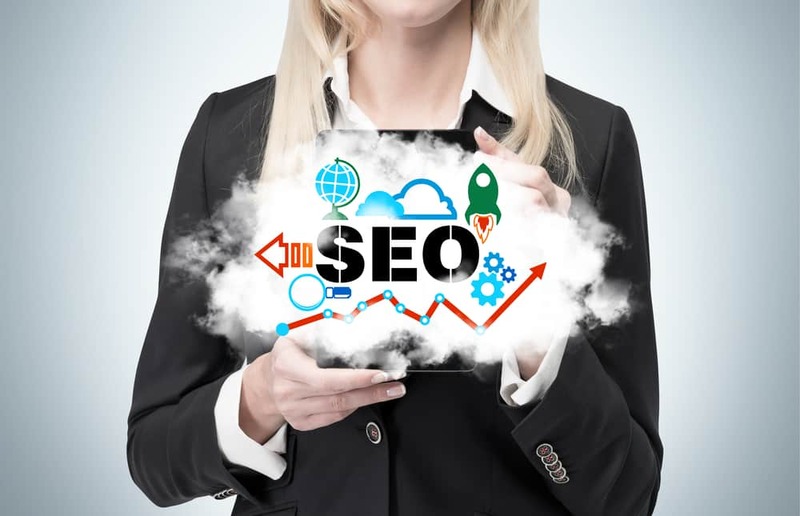 Hopefully these tips for choosing a real estate SEO agency will make finding the right fit for your company a little easier. As you search for an SEO company to help your real estate agency achieve a higher search visibility, consider For Sale Marketing. As a dedicated real estate SEO company, we are experienced in local search techniques, as well as a full complement of SEO strategies for real estate agencies from responsive, SEO-friendly website design to expertly optimized content creation services, monthly SEO maintenance packages, and more. You can count on us to give you the edge you need to raise your search profile and get your website in front of motivated home buyers and sellers in your area. Contact us at For Sale Marketing today at 954-779-2801 for expert real estate SEO services to gain the high search visibility your company needs to succeed!